- Mr. Dilshan Ferdinando, Group Director of Access International (Pvt) Ltd.
Have visited many a condominium projects & have never seen a project done with a view of giving practicality quality of this nature. My belief is that “Dynasty” will be a super hit once completed. 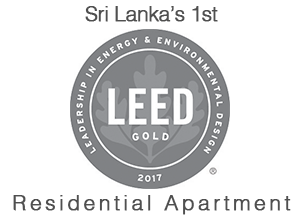 One of the best apartment projects I have seen in Sri Lanka. Quality development introducing NEW LIONING STYLES in the Kingdom of Kandy. “I was pleasantly surprised to find the project almost at a completion. What was even more surprising was that the attention to fine detail that can only be achieved by constant attention and demand for quality. To name a few: The door frames and doors were exquisitely done to a soft colour, not only was this visible at the front door but also on service doors such as duct doors. The tiling was done very well, I noticed as we too have much difficulty in getting such precision. On entering the Model Apartment on the 5th floor I was astounded on the overall appeal. Surely there must have been an expensive Interior Architect. I loved the Dining table and chairs, very elegant and modern. Loved even more the fact that the Pantry opens out into the dining giving a much larger visual effect. I noticed attention to detail at the finishing of pantry cupboards. It was nice to note that a utility room has been given behind the rear of the pantry, very convenient. The bedrooms were just nice, very tasteful and varied in décor. Loved the detail on the curtains. I like the fact that the selection of bedroom cupboards have been done with care. Toilets too have been executed extremely well. Long vanity counters with turned up back splash is very desirable. Colour selection too is commendable. I liked the selection of the door handles and locks. Overall the project smells class, and amidst the tight crowded landscape of Kandy the project is a jewel. As I was leaving I thought to myself, people pay good money to buy a property on top of a mountain. It’s so easy when you can get the same feeling by just getting off the elevator here.